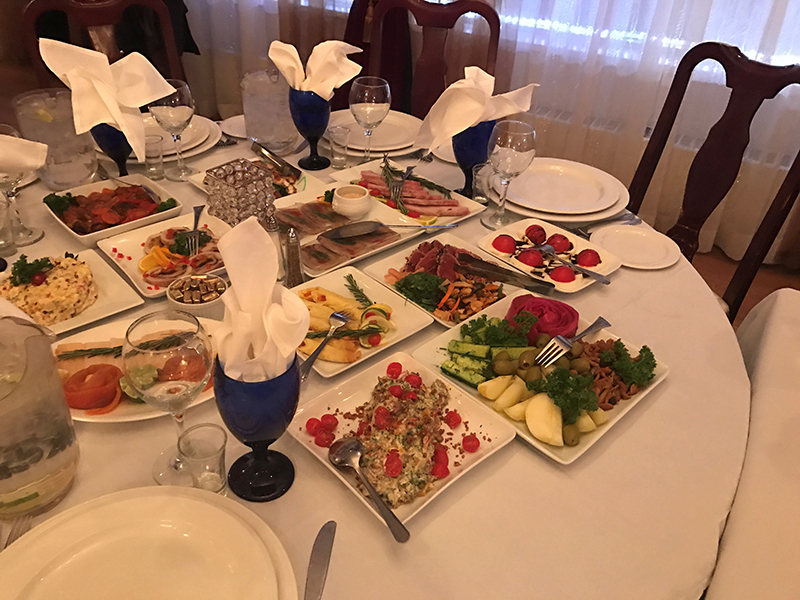 I am, by no means, an expert on RUSSIAN FOOD. I do enjoy it, though. I’ve been to Eastern Europe on a couple of occasions and I suspect that there’s not a great deal of difference between what I’ve tried in Budapest and Prague versus Moscow and St. Petersburg. My experience in America is limited to PRAVDA and the Russian Tea Room in New York and RED SQUARE in Vegas, and in London I’ve dined at Bob Bob Ricard. 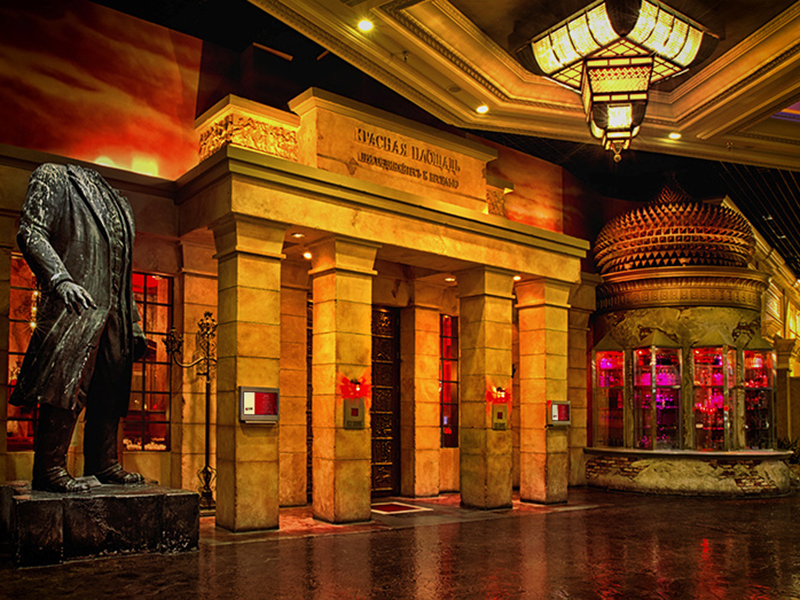 The most authentically Russian thing about these places are their vodka lists (and Bob Bob Ricard’s czarist glitz). 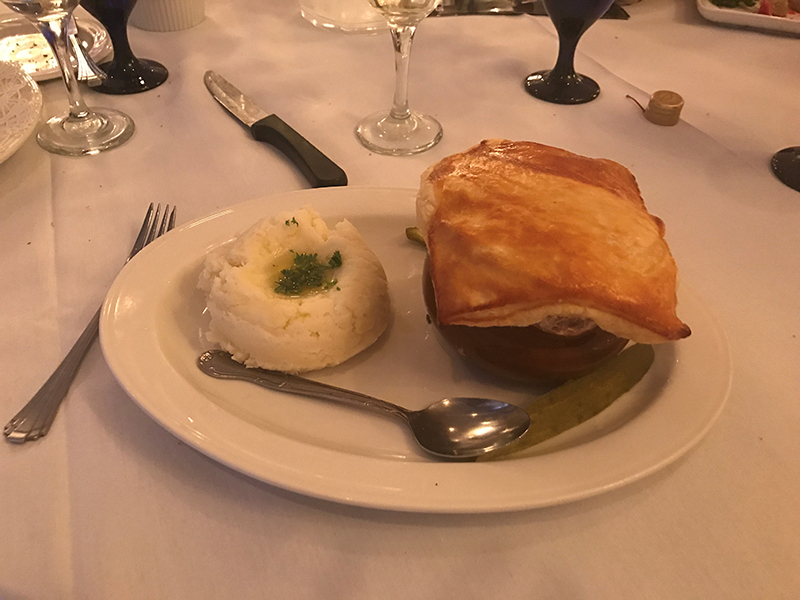 Which leads me to tell you about a delightful, time-warped, and I suspect authentic Russian dining experience that I recently had right here in the Twin Cities. 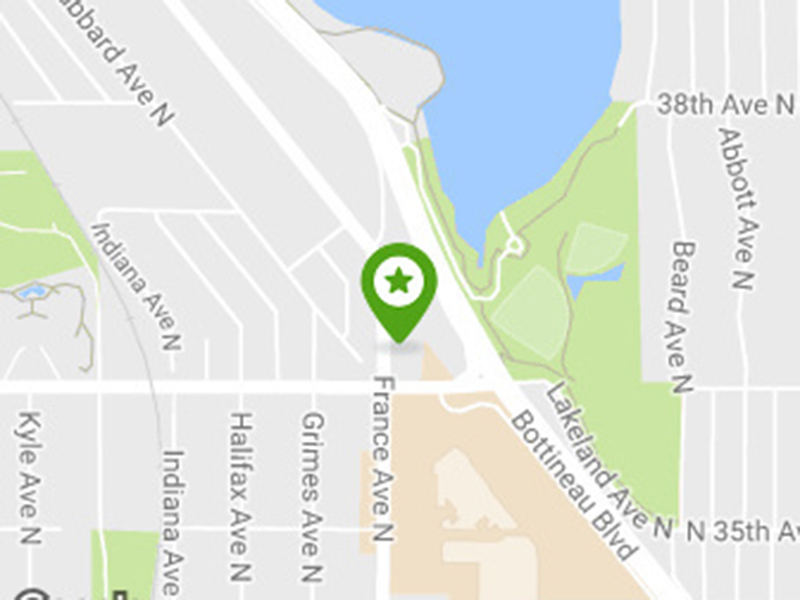 First of all….it’s in Robbinsdale (an adventure in itself). Secondly, it’s housed on the second floor of an AMERICAN LEGION HALL….even better. 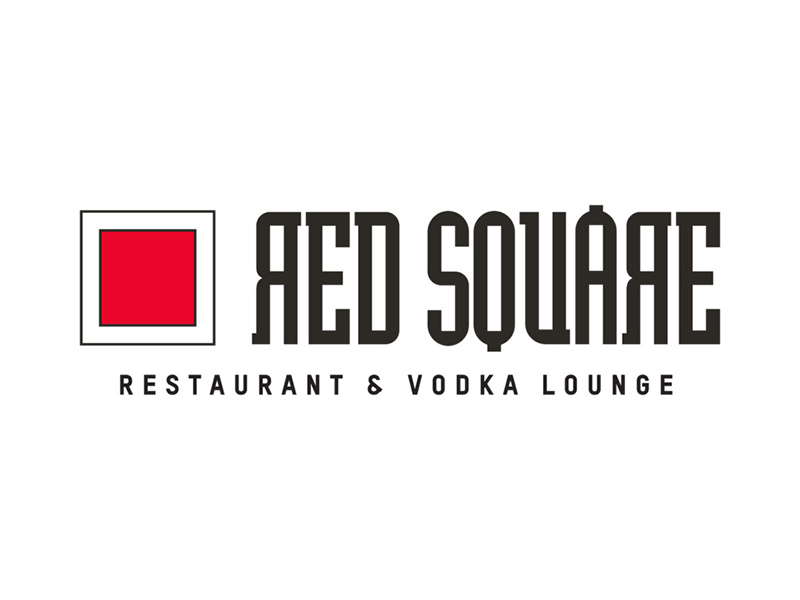 Welcome to ST PETERSBURG RESTAURANT and VODKA BAR. 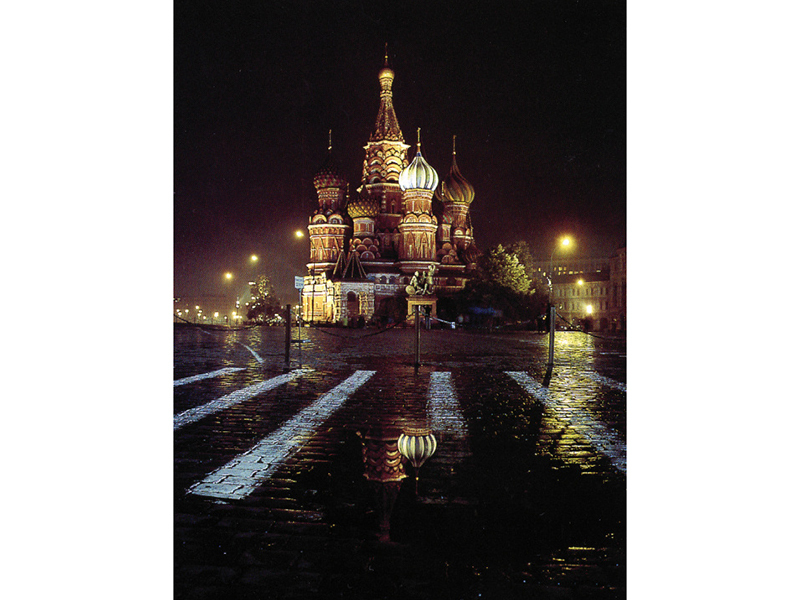 I’ve always had the impression that Russian architecture and design celebrated WRETCHED EXCESS……think the KREMLIN……ST. 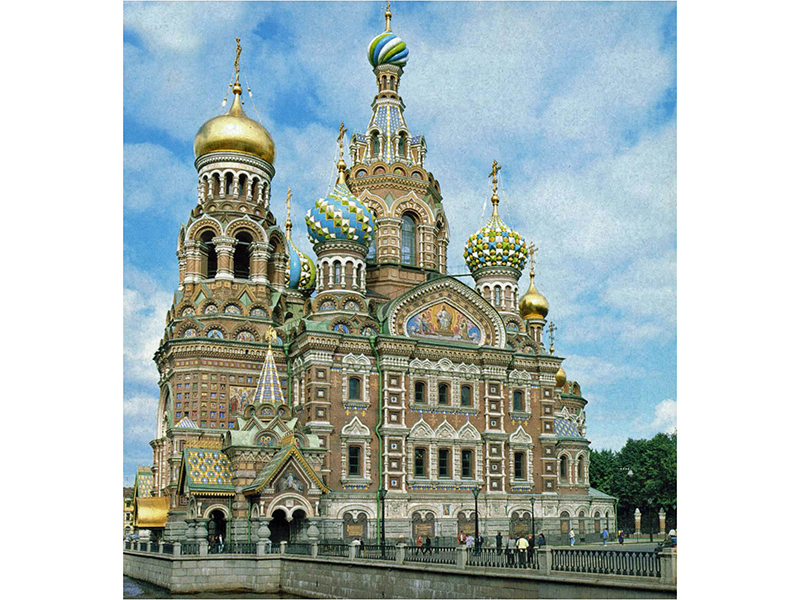 BASILS….and the church of OUR SAVIOR of SPILLED BLOOD…. (pictured above). 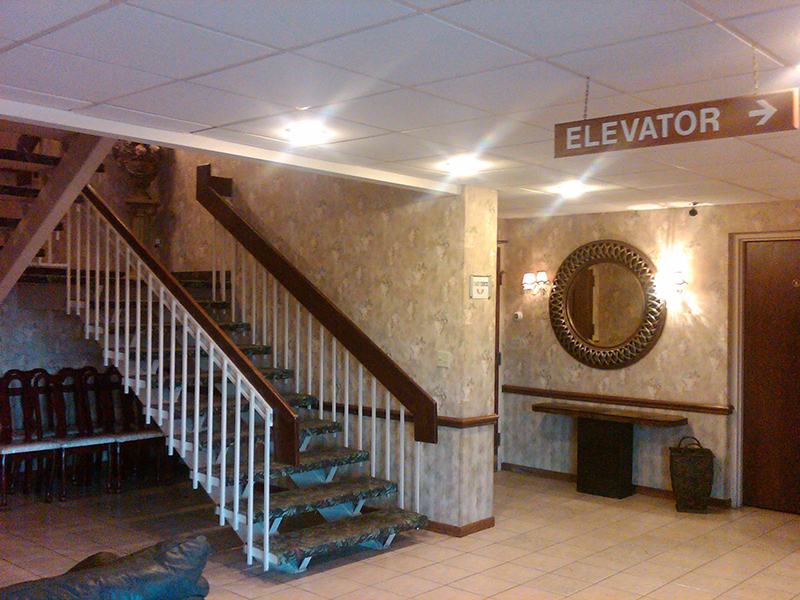 So the decidedly unflashy building that houses the restaurant (coupled with its dated Holiday Inn-ish foyer and staircase) was a design counterpoint to my expectations…..all of which just made it feel BETTER and MORE REAL to me. 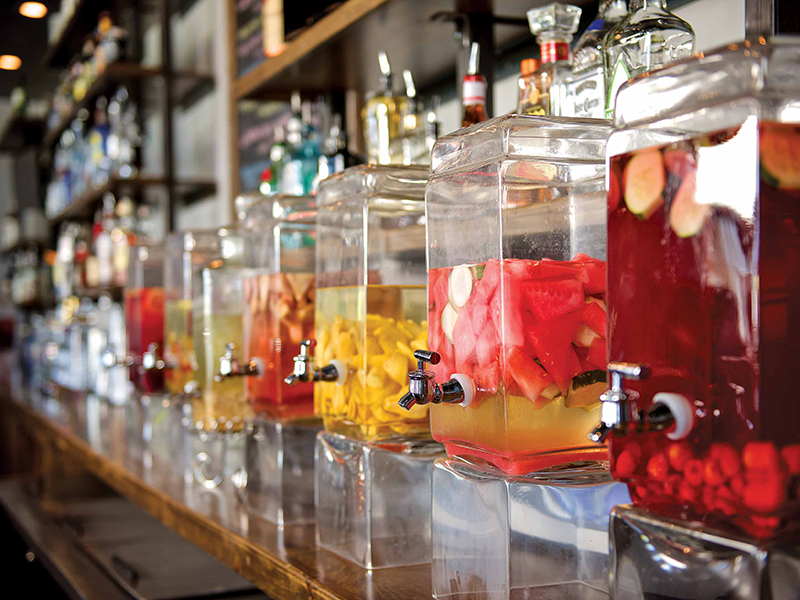 I said VODKA BAR….and vodka bar it is. At the top of the stairs, I looked to the left and found it jam-packed at 6:00 on a Saturday night. Lining the back bar were what appeared to be a hundred vodka bottles along with 4 or 5 infusions. Folks were having a good time. 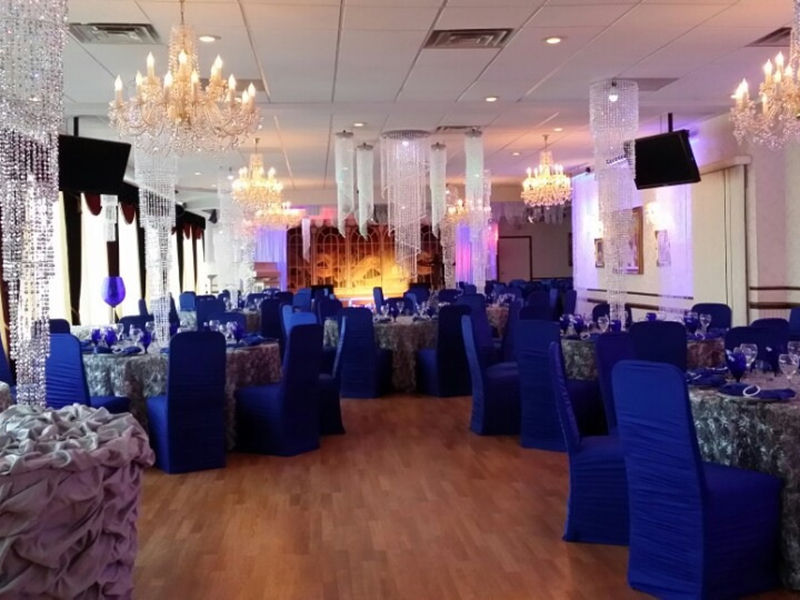 To the right was the main dining room – a large, rectangular space with a stage on one end – perfect for banquets. My favorite touch: the crystal chandeliers suspended from the acoustic tile ceiling (talk about counterpoints). But you know what, the space worked. It certainly caused me to smile. 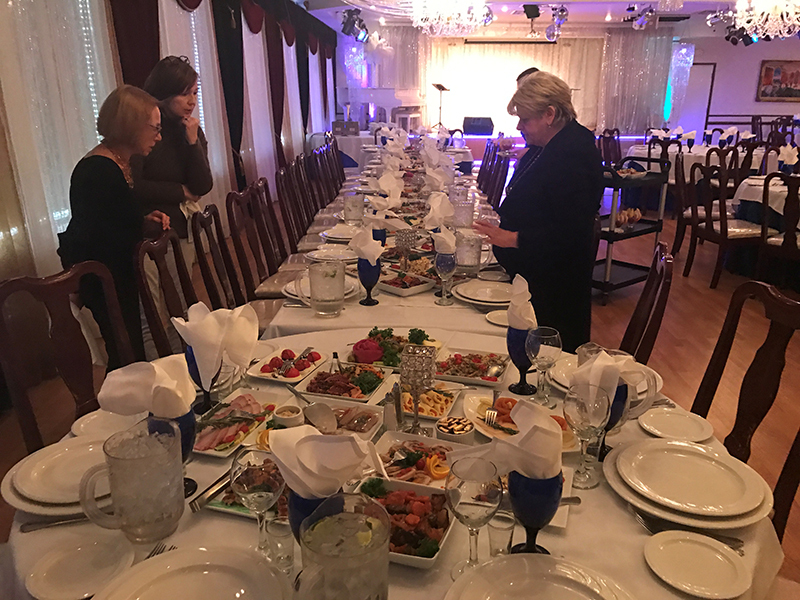 The dining room was set up for a large birthday party……50-60 people expected, with bottles of vodka every few feet on the long table. The owner was pleased and rightly proud to show us the pre-plated appetizers. They were beautiful. On to the food……largely unfamiliar to me…save for the BEEF STROGANOFF and CHICKEN KIEV. 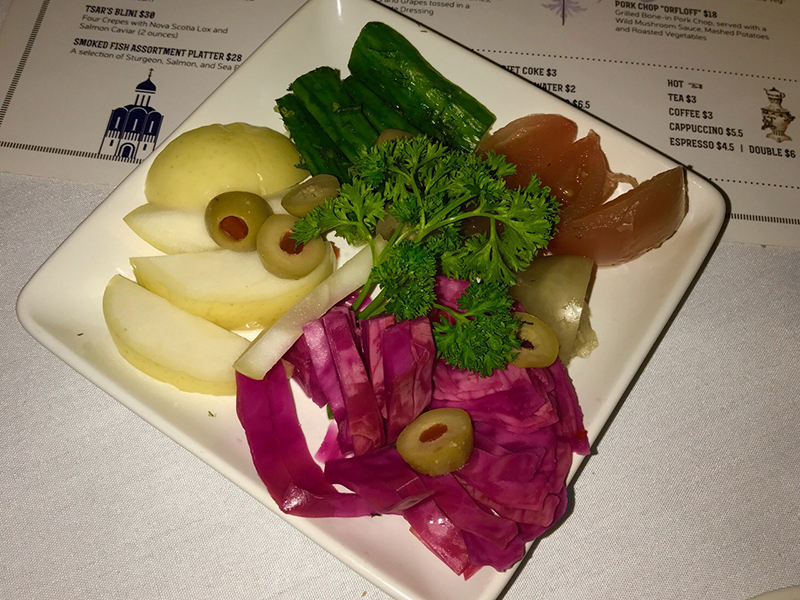 Appetizers shared at the table included OLIVER SALAD….BEET BORSHT…..POTATO VARENIKI…. 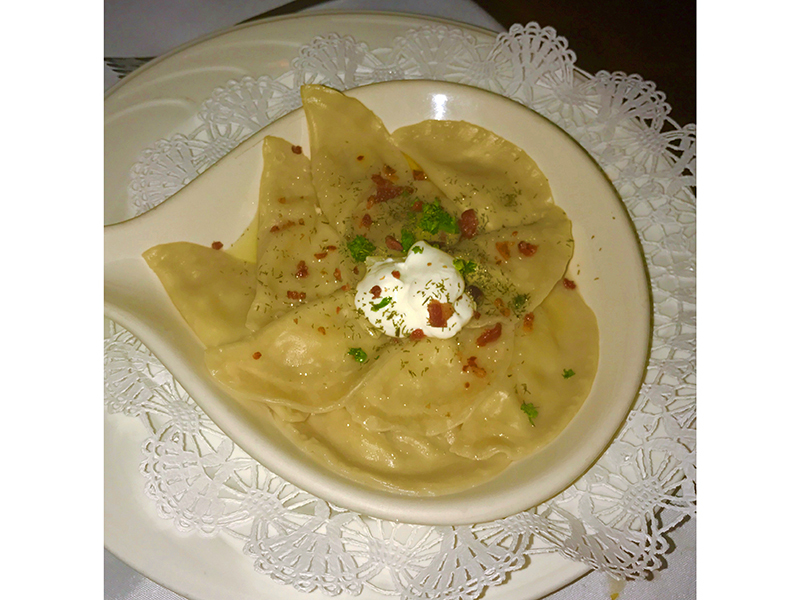 (ravioli like pockets stuffed with potatoes and topped with sour cream and crispy bacon. Good….but not great). 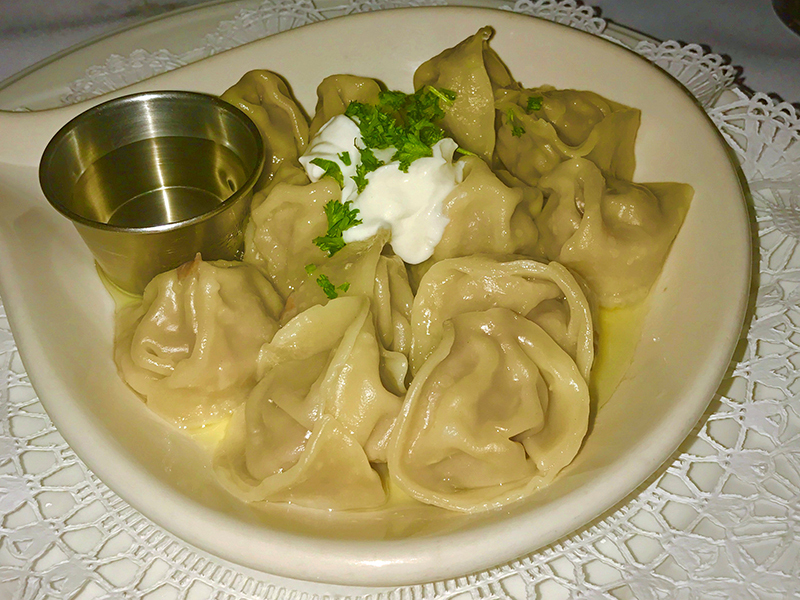 What was great was the SIBERIAN PELMINI – big tortellini things stuffed with braised beef and pork and served with sour cream and vinegar. (vinegar was a nice counterpoint). 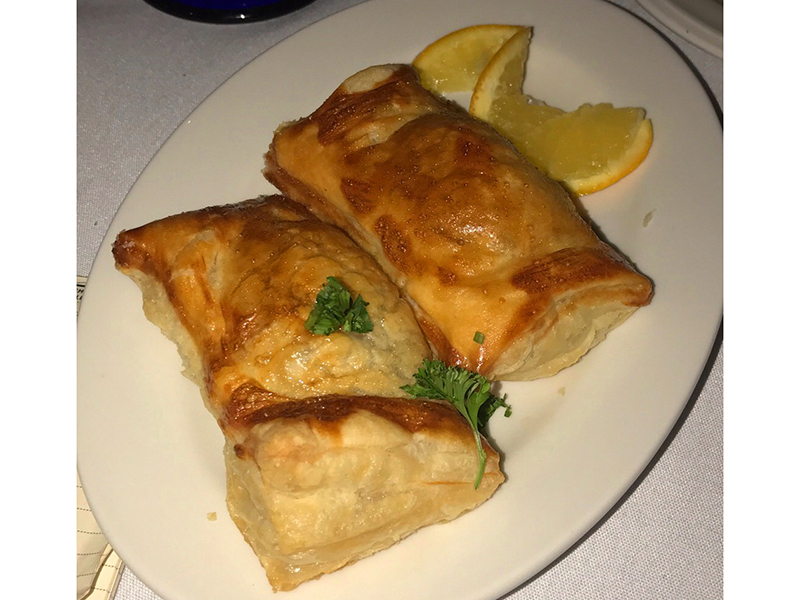 Also satisfying was the BEEF PIROSHKI, pastry dough wrapped around a filling of highly seasoned beef and onions….. 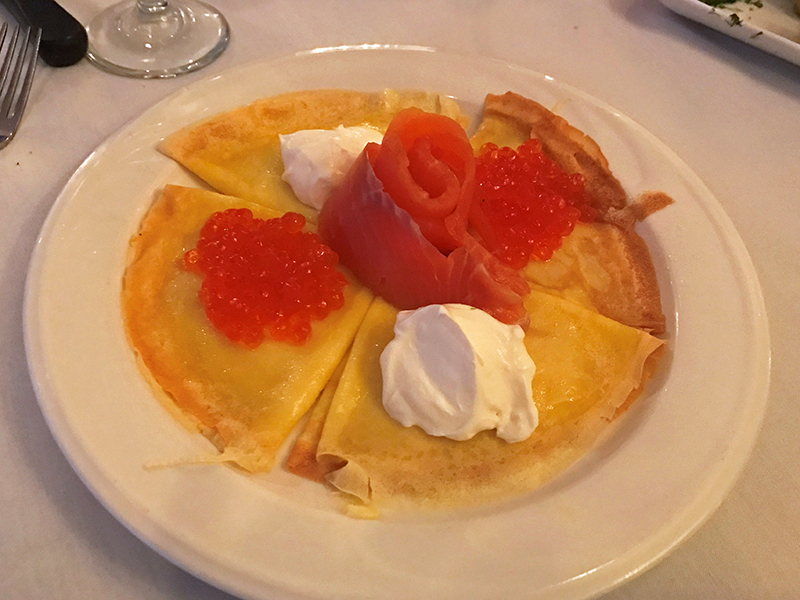 The BLINI with STURGEON EGGS, LOX and SOUR CREAM were a treat…..even at $30, because all eight of us around the table got a taste. 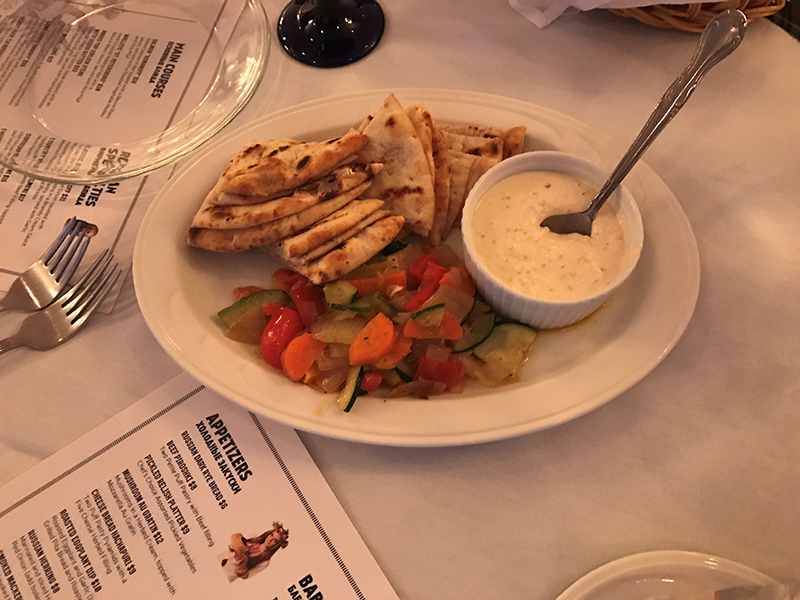 The restaurant’s signature appetizer, according to our server, is ROASTED EGGPLANT and AIOLI DIP with TOASTED PITA BREAD…..my vegetarian daughter’s favorite. 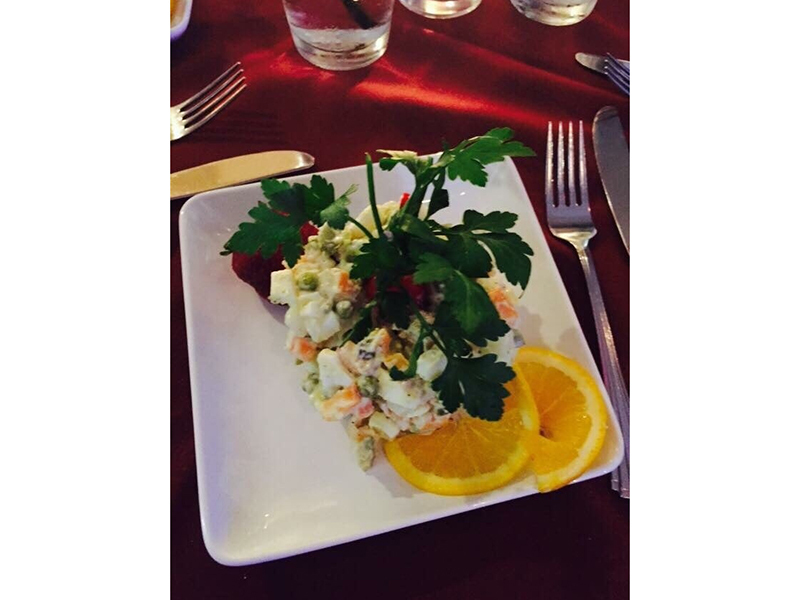 Skip the PICKLED RELISH TRAY at $9.00. About this time, the birthday partygoers began to arrive, and what a spectacle it was. Everyone was all decked out – not in Armani or Ferragamo, but in attire that strongly suggested it had been brought to the states from the mother country. Hugs and kisses all around…..and the vodka began to flow. Our table was the only one with English-speaking guests. That made it hard to eavesdrop on our fellow diners, but it definitely made the restaurant seem authentic. 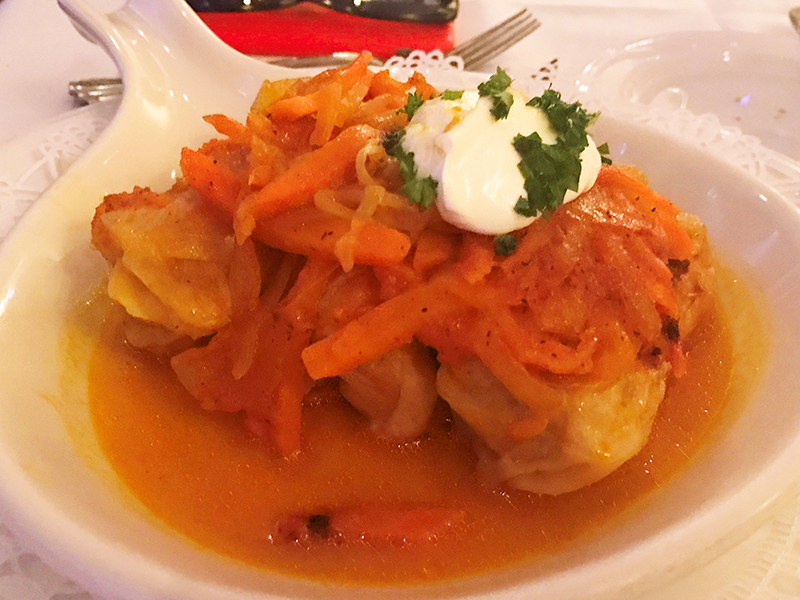 Mains included CHICKEN BLINTZES with MUSHROOM SAUCE……BABUSHKA’S CABBAGE ROLLS…..BEEF STROGANOFF…. 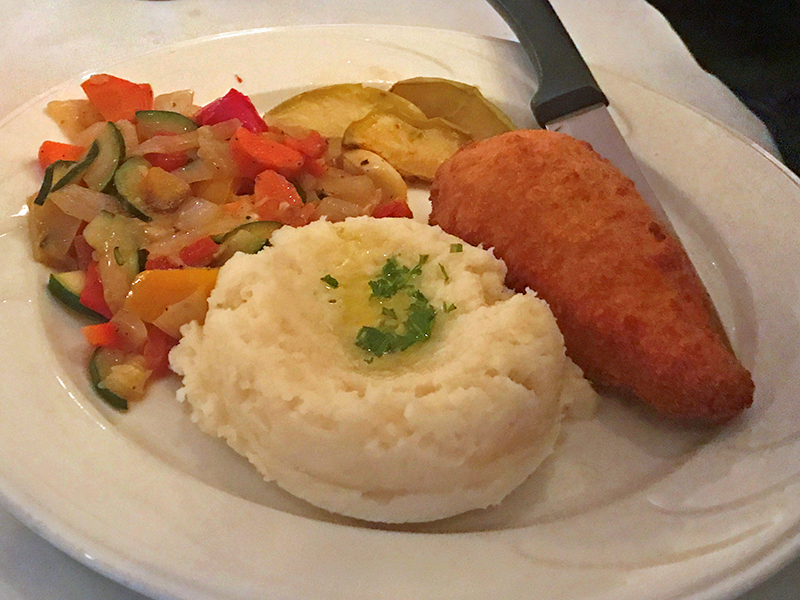 and CHICKEN KIEV (the only real disappointment of the evening). One of the joys of this dish comes when you cut into it and the butter flows out, touching everything on the plate. 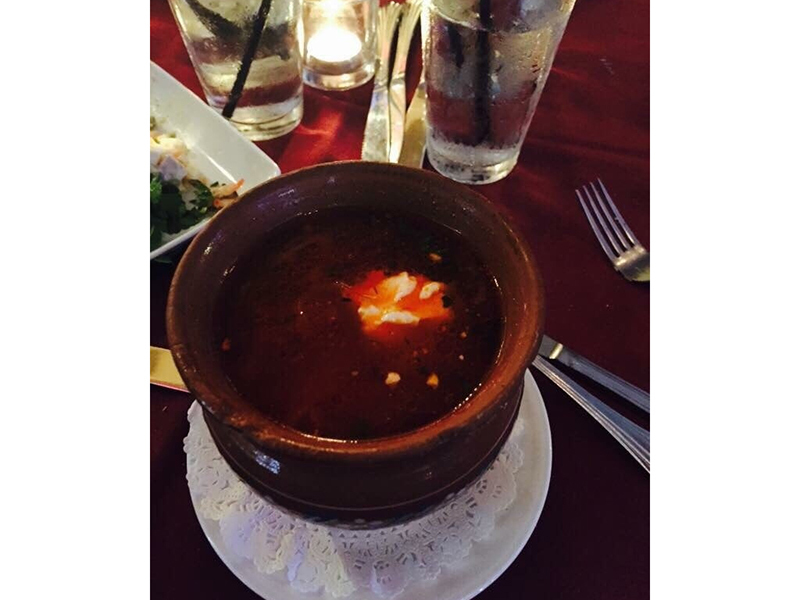 St. Petersburg’s version was dry….no butter oozing out. One member of our party commented that it reminded him of coach food on Aeroflot. 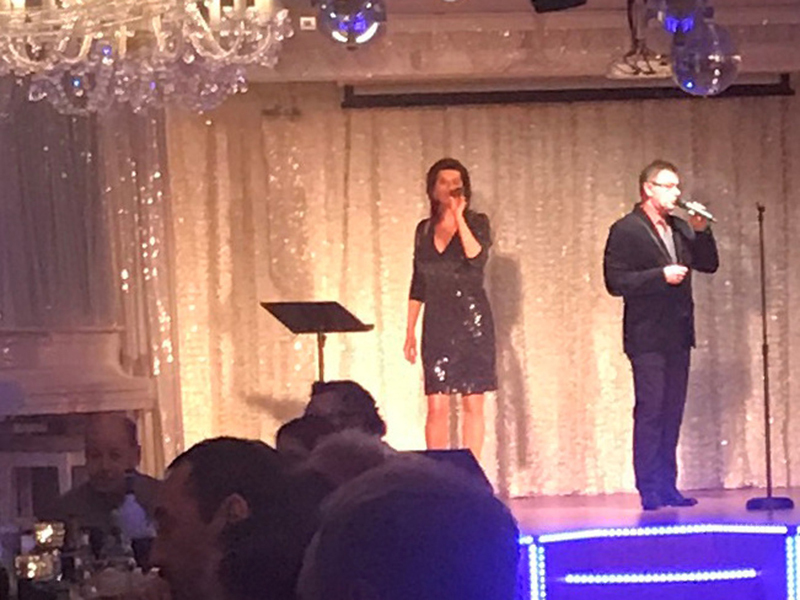 Two Russian-language singers were on stage for most of the evening – a slinky vocalist in a bronze-sequined dress and a keyboardist in a tux. There was dancing. The birthday guests toasted the honoree with toast after toast of vodka. What more could you want? 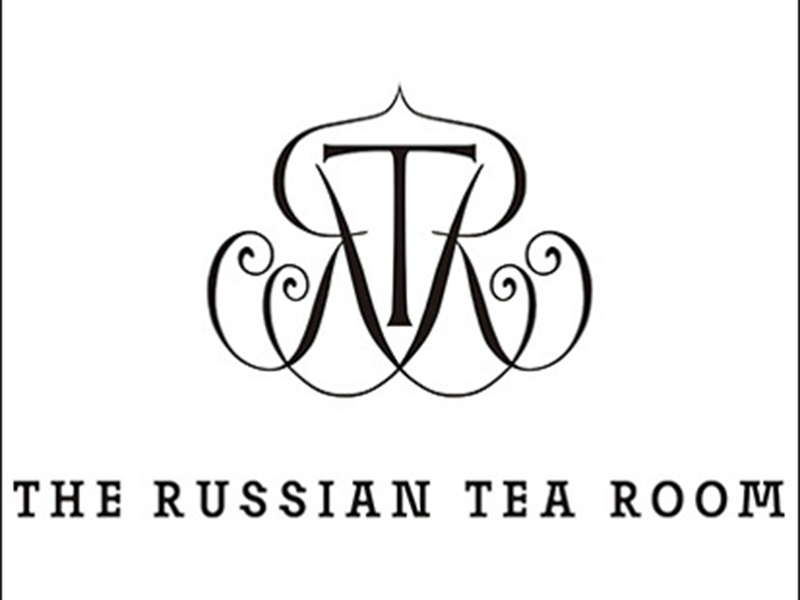 So that got me thinking about the only other Russian restaurant that’s ever had any significance to me: THE RUSSIAN TEA ROOM in New York. 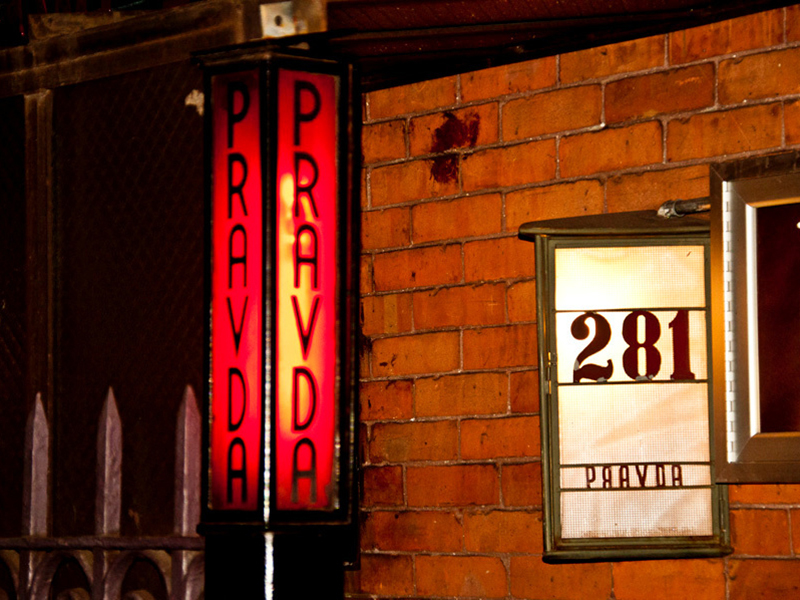 It’s an institution – a fixture on 57th Street since 1927. 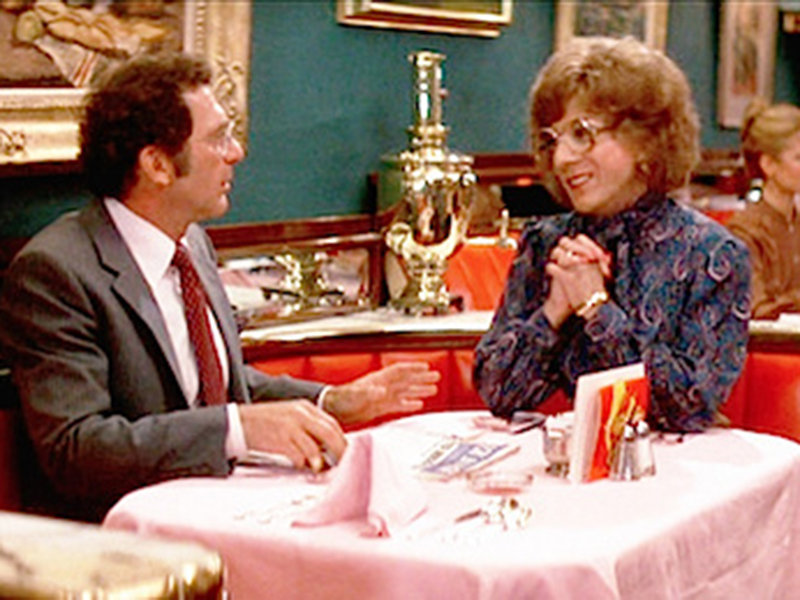 Red chairs…pink tablecloths….a celebrity hangout and movie set (remember Dustin Hoffman in TOOTSIE?). 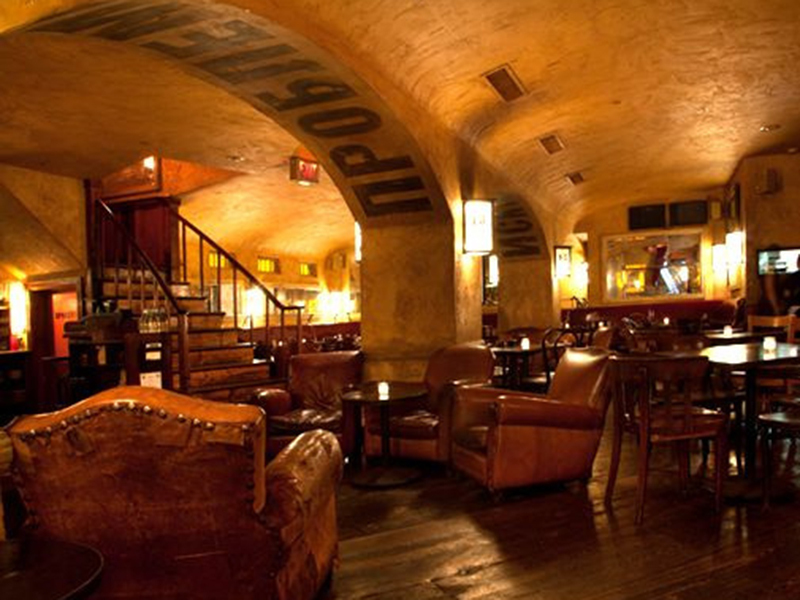 I’ve personally spotted Rudolph Nureyev and Woody Allen in the red leather booths that line the walls. The 1990’s, however, were tough on the place. 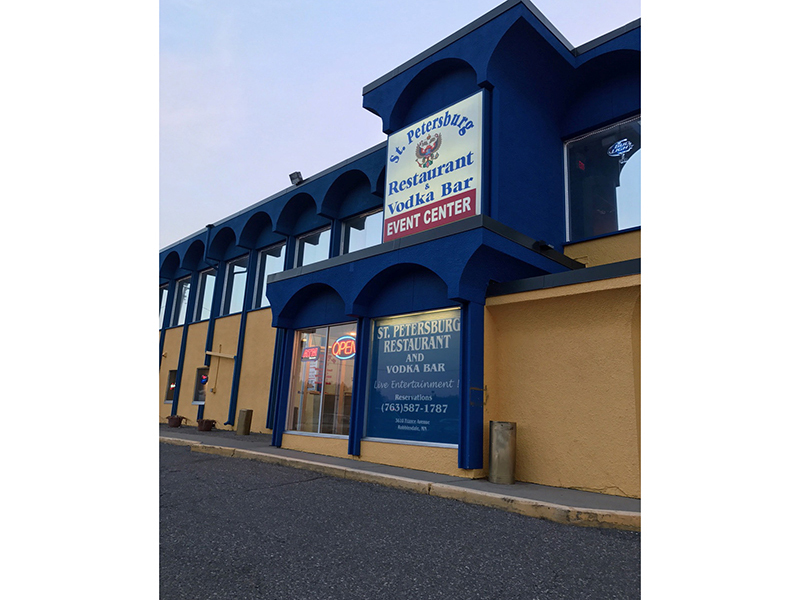 It was bought and sold several times, and each owner tried to revive this “wheezy institution”……but none succeeded. 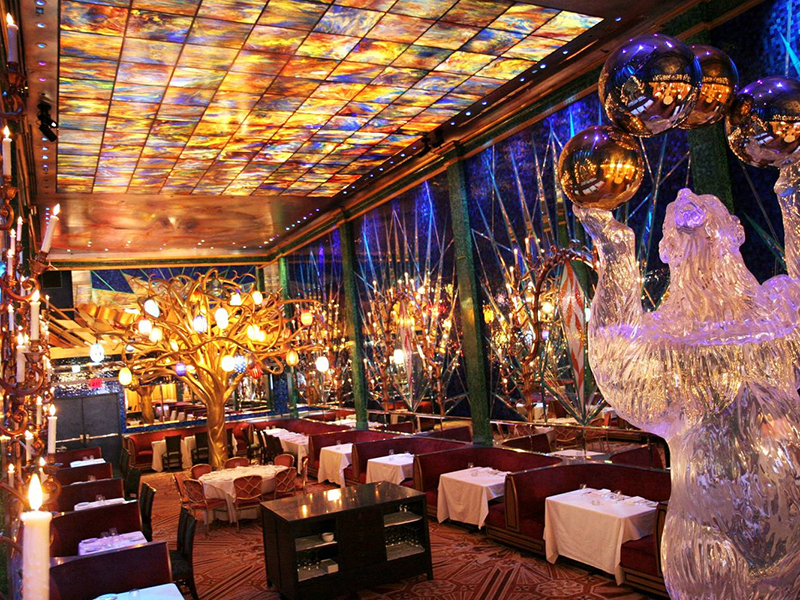 Finally, in 2002 the quintessential New York showman, the late Werner Leroy (of Tavern on the Green fame), bought it – then promptly closed it for four long years for a complete renovation enema…..relaunching in 2006. 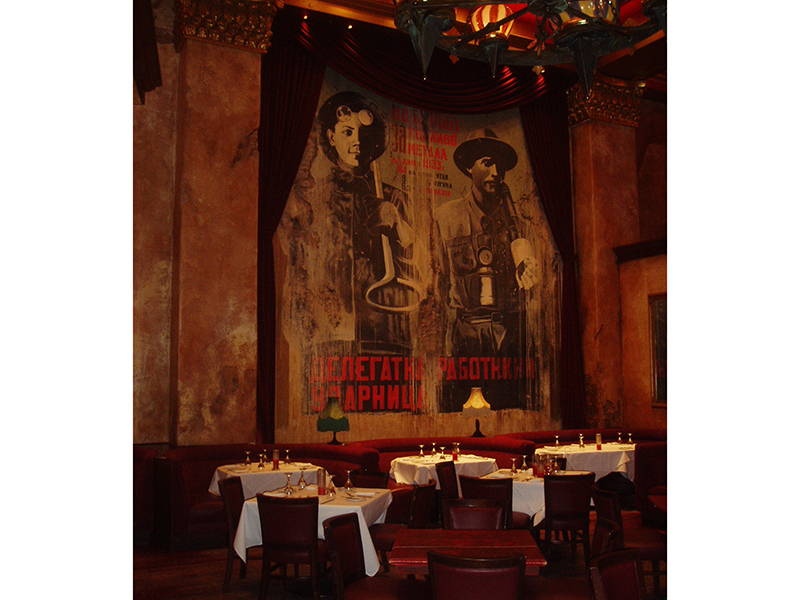 So here’s the deal: There’s THE RUSSIAN TEA ROOM prior to 2002, with its classic menu, décor and character. 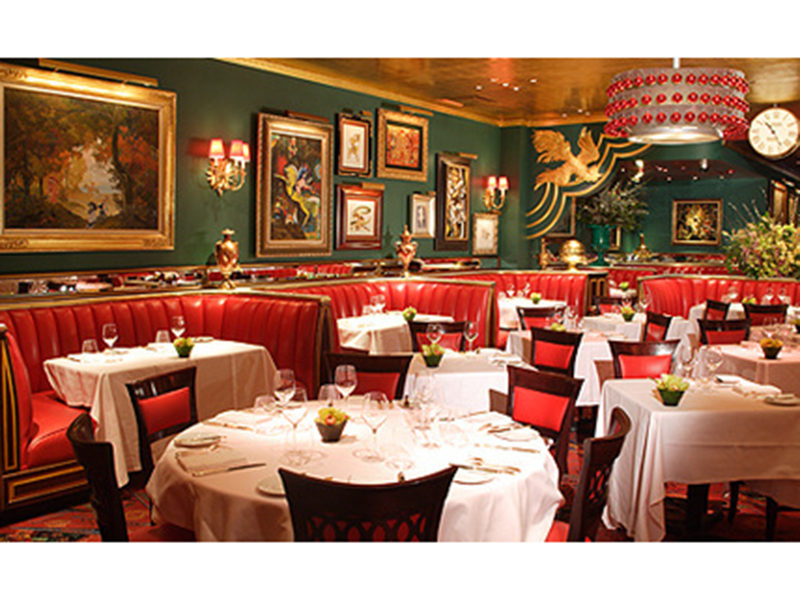 Then there’s the post-2006 version, with a totally different vibe, a different menu and – OMG – different décor. I tell you this because I dined several times at the original pre-2002…..and once post-2006. 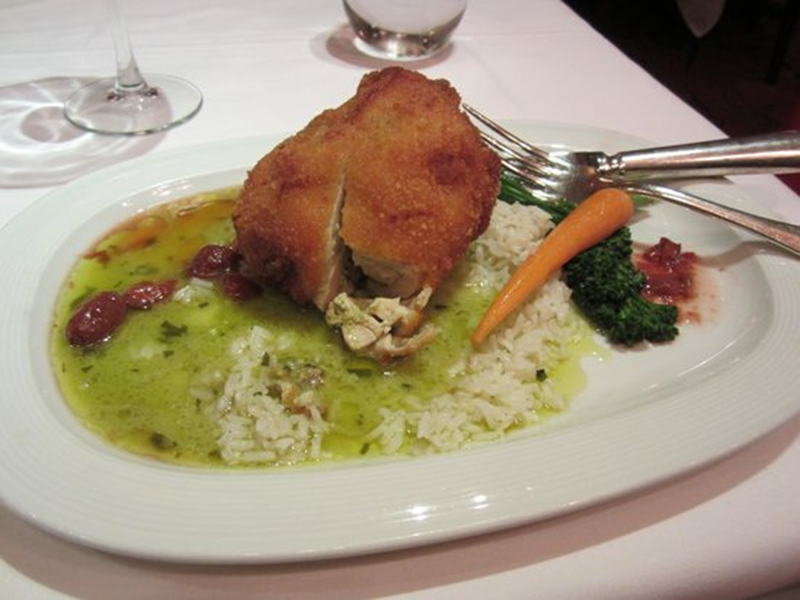 In the post-2006 iteration the ICONIC CHICKEN KIEV (delicious) and the BEEF STROGANOFF (also delicious) have both been relegated to page 4 of the new menu – SIBERIA ???? WHY ???? And while the CHICKEN KIEV remains intact with its bursting melty buttery and herby goodness smothering the perfect rice that accompanies it, the BEEF STROGANOFF somehow got “tricked up” beyond belief. Now it comes with buckwheat noodles, wild mushrooms and porcini cream. 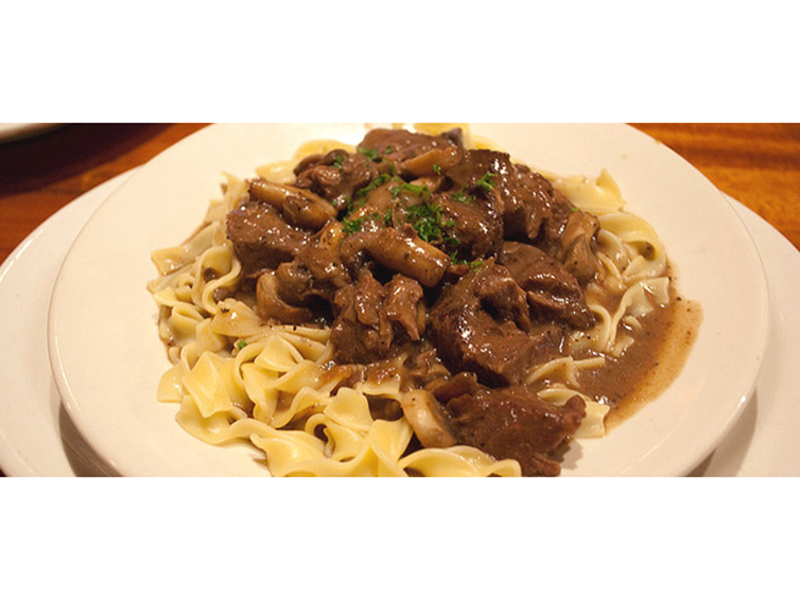 It just doesn’t look like or feel like BEEF STROGANOFF any more. Check out my before/after images. 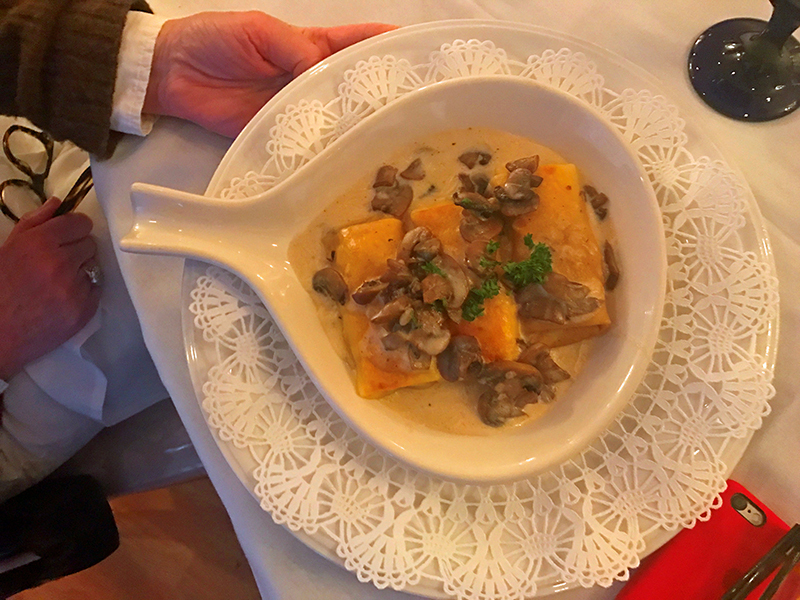 The CABBAGE ROLLS that I used to order in the ‘70s now come stuffed with pork shoulder and…foie gras. Really??? 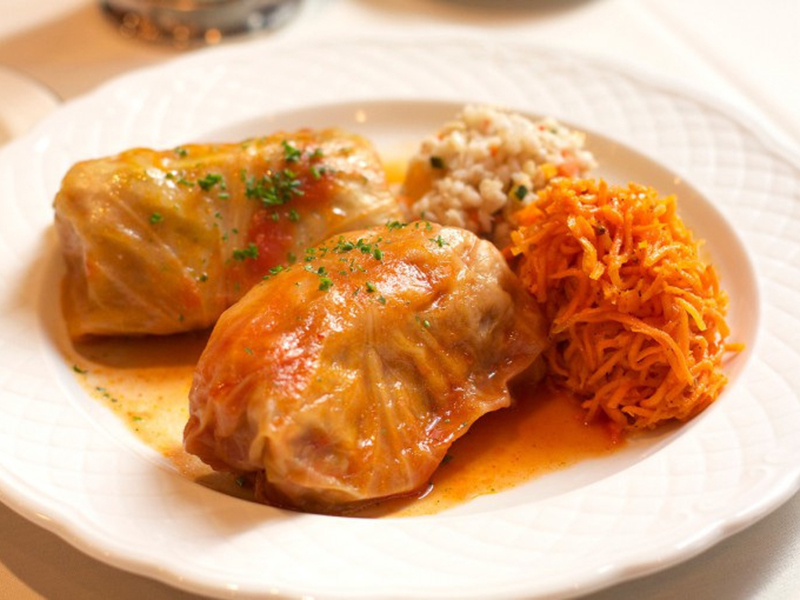 The New Cabbage Rolls - But Stuffed With Foie Gras... Really??? 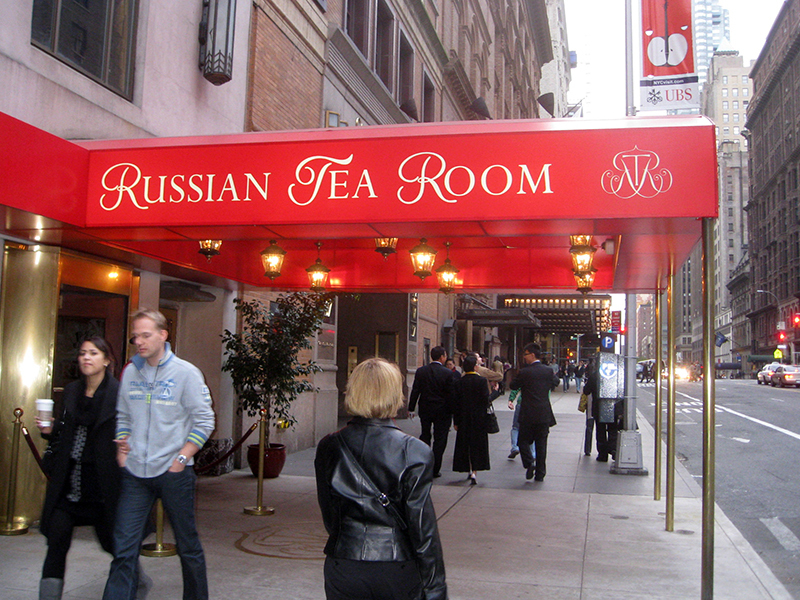 Between ST. PETERSBURG and THE RUSSIAN TEA ROOM, which is better? It’s probably a silly question, as they serve up distinctly different dining experiences. 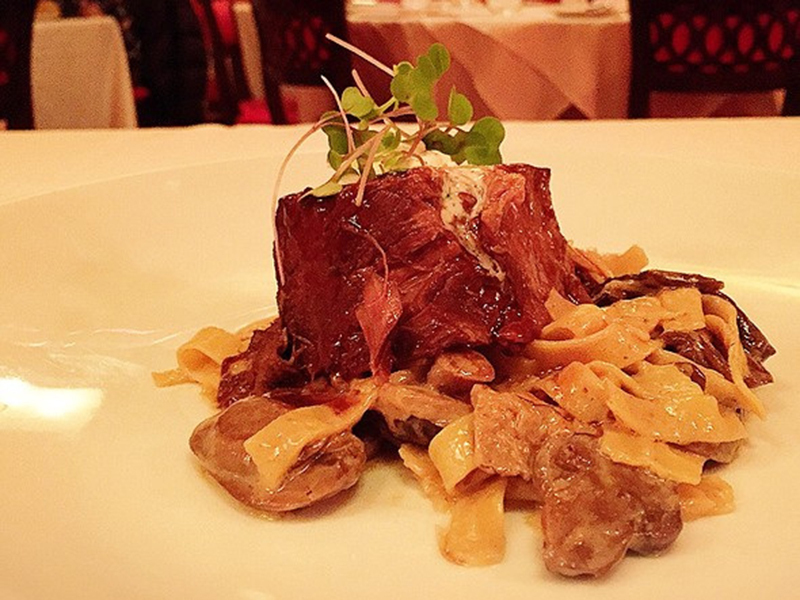 If you’re in New York and have a hankering for Russian food, try THE RUSSIAN TEA ROOM. Caution, it’s expensive, though – probably around $80 per person without drinks and wine. On the other hand, you are already here in Minneapolis. 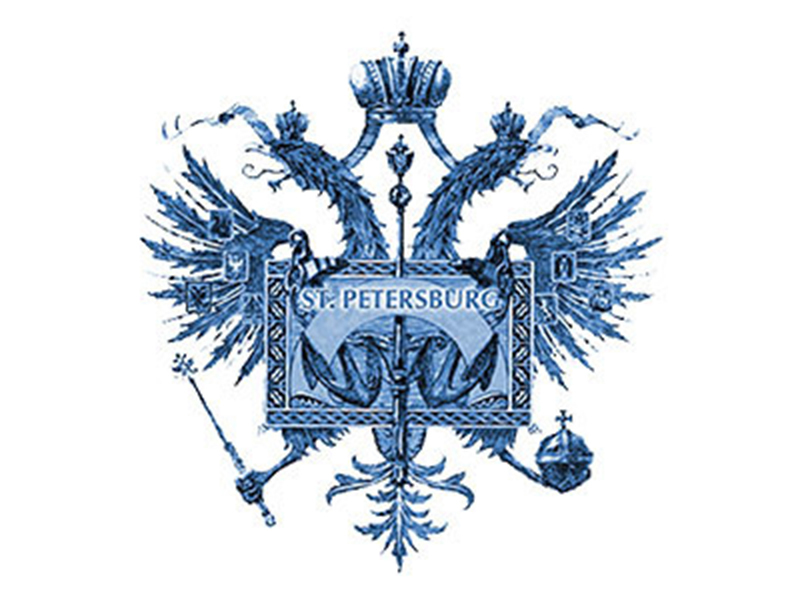 If you’re sick and tired of the phony, predictable, formulaic suburban chains and relish the mood of something genuine, check out St. PETERSBURG. It will surprise and amuse you – especially if you go on a Saturday night, when the lounge act takes the stage.